Start widening the perimeters of business computing with QuestingHound Technology Partners' Mobile Device Management system. Your employees all carry around, and depend on, many types of devices. Smartphones, Tablets, NetBooks, you name it, they have it. In order to capitalize on this shift in mobile computing, your company needs to put in place a bring your own device policy that protects both your company and your staff. At QuestingHound Technology Partners, we have the answer for this necessary integration: Our mobile device management solution. QuestingHound Technology Partners has a solution for any type of mobile device. There are many different operating systems that run mobile devices today. 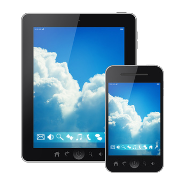 To make sure that you are able to facilitate the needs of your BYOD policy, QuestingHound Technology Partners provides mobile device management solutions that take this and the variance of service providers into account. We have a central interface that allows administrators to manage devices and data; the core elements of a thorough MDM strategy. For more information about QuestingHound Technology Partners' mobile device management solution, or any of our comprehensive managed IT services, please feel free to call us at 954-727-2200.